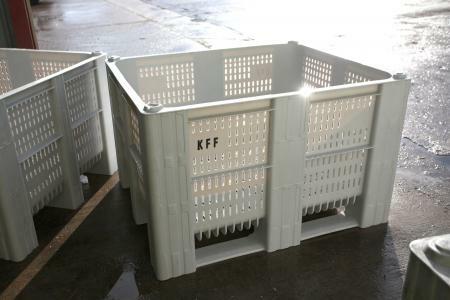 KFF Potatoes is based in Sutton Bridge near Spalding in Lincolnshire. 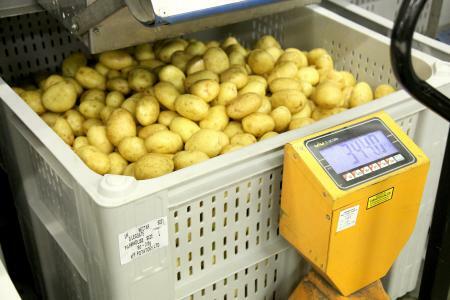 It is primarily a potato prepacking operation, adding value to the product sourced from all over the UK, including Cambridgeshire, Herefordshire, Shropshire, Suffolk, Norfolk and Lincolnshire. machinery so we accommodate them into our machinery and process. They are recyclable. They are durable – they will take the knocks which happen in this kind of process. They get handled several times for each particular sale up to 10-times with transport and moving in and out of different production and delivery processes. So they have to be durable and we find they do the job very well.